A stunning semi detached NEW BUILD house boasting spacious accommodation; situated on a SELECT GATED DEVELOPMENT and finished to an exceptional standard boasting a high level interior finish, presenting a modern open plan layout with BI-FOLDING DOORS opening on to enclosed landscaped gardens. An impressive gated development of only 28 similar styled homes, all finished in stone and presented to an exceptional standard throughout; the semi detached properties presenting spacious accommodation laid out over three floors. The site had been sympathetically designed retaining mature tree's whilst all properties have enclosed gardens and off road parking. Occupying a sought after semi rural location which is well served by an abundance of local services including highly regarded schools. The Dearne Valley network is immediately accessible opening up to both the M18 and M1 resulting in excellent infrastructure links throughout the region. A reception hall provided an impressive introduction to the property and leads directly through to a spacious lounge with a bay window to the front aspect which invites an abundance of natural light indoors. A stunning breakfasting kitchen presents a high level of fitted furniture with Quartz work surfaces and matching upstands. A full compliment of appliances include a double oven and hob with extractor over, a dishwasher, fridge/freezer and washing machine. Bi-folding doors provide access to the rear garden inviting the outdoors inside. To the first floor are three good sized bedrooms, the master having En-suite facilities and a family bathroom. 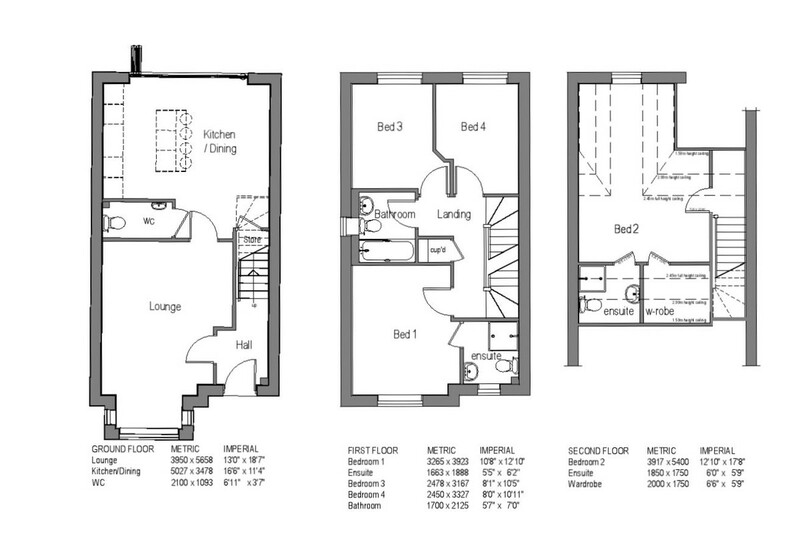 The second floor presents a further superb bedroom suite with a walk in wardrobe and En-suite shower room. The Rawmarsh, in short is a stunning spacious home offering enviable modern living. There are currently 4 plots remaining (Plots 6, 16, 17 & 19) three of which boast stunning south facing gardens. Help to Buy is available on this development. Please ask for further information on the Government backed scheme. Your perfect home could be more affordable than you think.